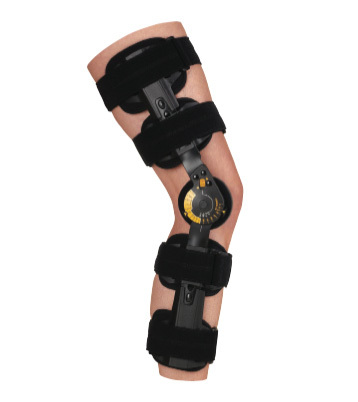 The Game Ready Post-Op Knee Brace is the ultimate in innovative and high-tech support for knee instability injuries and post-operative knee recovery. The brace features a low-profile, lightweight design that minimizes bulk to maximize mobility and comfort - so it's easier to move with or sleep in. All to help your patients enjoy a faster return to daily activities. Dimensions: 4.7" x 2.8" x 2"